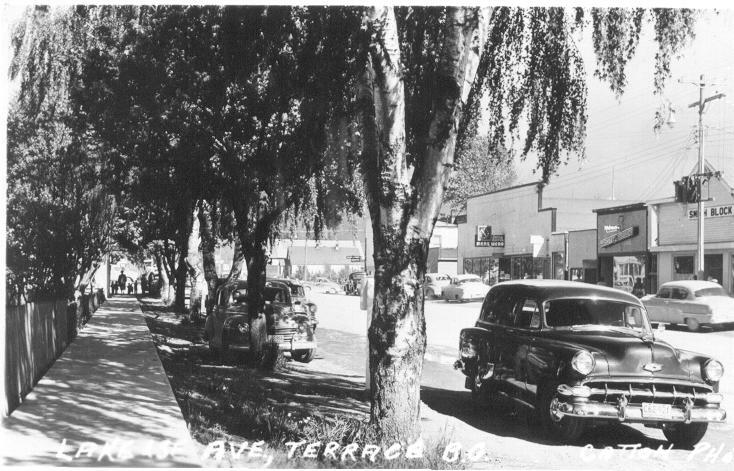 Terrace, a modern city situated on the banks of the Skeena River, has rapidly developed over the past 100 years. 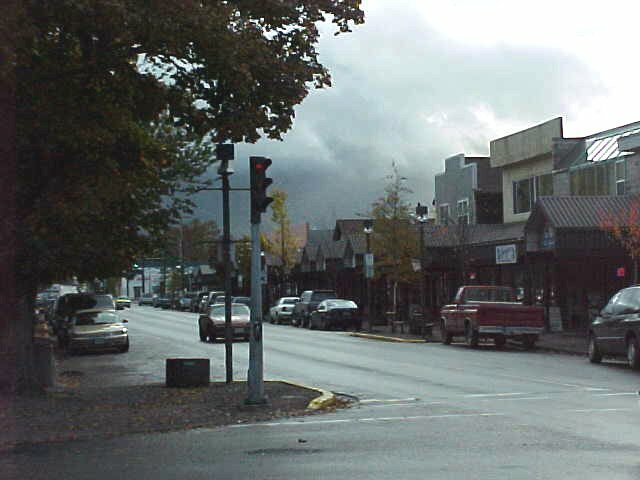 The city gets its name from the terraces or benches rising up from the Skeena River in this section of the valley. The Tsimpshian and Kitselas people were the First Nations people in the area. This area was opened up to European settlemen in1905 when the government granted pre-emptions of 160 acres to newcomers. The sternwheelers came up the Skeena but it was a long time before they could pass the Kitselas Canyon to reach Hazelton. The railway came through in 1914. At that time, George Little, founder of Terrace, had the foresight to donate the land for the railway station and Terrace grew around the station. The original name was Littleton in George Little's honour, but there was another town by the same name elsewhere. So the name was changed to Terrace. The first settlers came to farm, trap and prospect in the Skeena Valley. The focus changed to logging and sawmilling. We have set up this website to collect pictures and stories which document the evolution of Terrace from a tiny village to the modern "hub of the north" as it is today. the Terrace Public Library and the City Of Terrace Parks and Recreation. e-mail or contact Terrace Public Library at 638-8177.